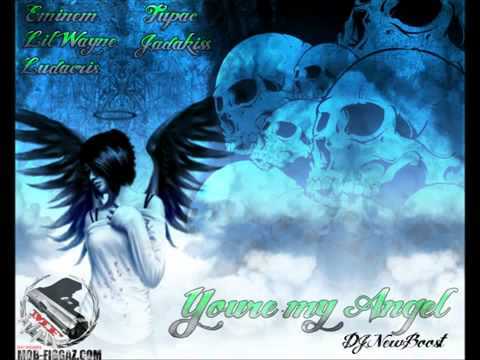 See the full You´re my Angel lyrics from Eminem. You´re my Angel lyrics belongs on the album Singles. Learn every word of your favourite song and get the meaning or start your own concert tonight :-). Rate this song's lyrics. Uploaded by Renate. Use it for personal and educational purposes only. Listen to these sick beats by Eminem. Heres a triple black card, it ain't trickin if you got it! And try any and everything they never did with they man, me! Cause in the end, all the girls just wanna have fun! Related You´re my Angel lyrics.